Home » General Topics (English) » WHAT IS THE REALITY OF THE NAMES JEHOVAH - ALLAH? WHAT IS THE REALITY OF THE NAMES JEHOVAH - ALLAH? WHAT IS THE REALITY OF THE NAMES JEHOVAH – ALLAH? What the conspiracy of some modern preachers is that if it is revealed to the common Christian people that “Jehovah is Allah” then they may be attracted to the Islam, with this fear only they have started the propagation that Jehovah is separate from Allah, so Jehovah is not at all Allah! What their contention is that “God was known with name of “Yahweh” in the Bible and Allah has nowhere been called by the name of Yahweh in Quran! Moreover the meaning of Allah is mere God, but it is not His own name so Allah is the name less God. Therefore how Jehovah and Allah who is the name less God can be regarded as one entity? As a matter of fact, the above argument that Jehovah and Allah are not one is the completely a modern argument invented by some superficial knowledgeable preachers in around twentieth century. To be frank, we cannot find this argument to have been raised from the Jews and Christian scholars in the times of when the Quran was revealing on Prophet Muhammad (s) or after the times of Muhammad (s) but this is the mere a modern argument being made by the present day’s preachers. The great proof to say that this argument was not among in the once Christian scholars is that- when they have translated the Bible from Hebrew to Arabic language they have translated the Hebrew name Yahweh as Allah. We find the name “Yahweh” in entire Arabic Bible to have been translated as Allah. 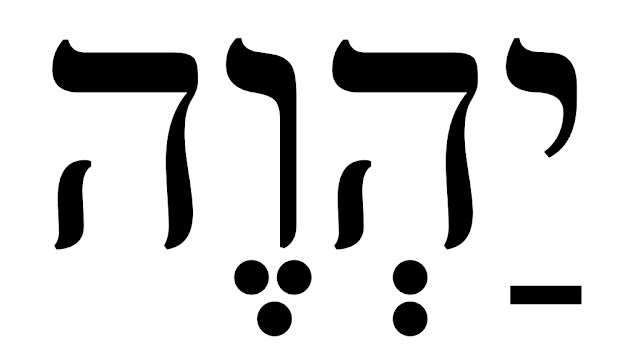 THE NAMES “YAHWEH” OR “JEHOVAH” ARE INVENTED BY THE MEDIEVAL SCHOLARS! As a matter of fact the term “Jehovah” was not in the existence until 1530 AD. If we observe the history we find “Rimand Martin” a Roman Catholic scholar in 1270 AD to have mentioned the Tetragrammaton “YHWH” in his book “Dugeo Fidel” as “YAHOUA.” After that, another Roman Catholic Scholar “Petras Galatin” in 1518 AD has mentioned the same name as “IEHOUA” and after him in 1530 AD “William Tindale” has mentioned the same name as “Jehovah.” Thus in the course of time, the name Jehovah has been evolved and has been printing as “Jehovah” in the present days’ Bibles. According to the name of God which was mentioned in different kinds of pronunciations by the so many eminent Christian Scalars in the history, it is clearly understood that the argument that one should call the name of God particularly as “Yahweh”, is newly invented by some modern Scholars who are against to the Islam. Thus, from the so far discussion it is made clear that the name Jehovah is a new name which has been evolved by some eminent medieval Christian Scholars in the course of time, but it has not been in the existence right from the beginning as a particular name of God. And we cannot say certainly that the compound of four letters YHWH is the real name of God in Bible because we find wherein to have been written with only two letters as “YH” also in Psalm 68:4. Importantly those that argue that Jehovah is not Allah they must know the fact that whenever Jesus has mentioned the prophecies from Old Testament if the name of God had been mentioned in them he has mentioned the same name “Yahweh” in the New Testament as “Allah” in Aramaic language. Generally everybody is named after the birth as an identity. Because every human being may be there is some difference in color, height and weight among them, but they are about to similar to one another having the same physical shape. Therefore it is compulsory that everybody should possess an identity name to be recognized in so many people. That is why everyone is named immediately after the birth as Jorge or David or John or Mary etc., to be identified by the particular name. So this is the reality of the identity names that are generally given to the human beings. But there are not existed so many Gods having the same physical shapes just as the so many human beings are in this world. There is only one God. This point was not only revealed by the divine Scriptures like Gita, Bible and Quran but the great scientists also has declared that there is some power which is called God. Now let us see what is the proclamation of God in Bible and Quran about Him as follows. According to the above Bible and Quran verses it is made clear that there is no other thing in this entire creation like Him. Then what is the need to God to be recognized with the particular identity name when nothing is like besides Him in whole universe just as the common human beings who are being called with the different identity name because of they are about to similar to one another? Therefore God is not one among the so many Gods! If there is there multitude of Gods then they would have the different identity names to call each other. So if anybody argue that God has a particular name Yahweh or we have to call the name of God by such particular name as Yahweh then they have to agree that there are so many Gods like Yahweh as against to the Bible. We came to know by the previous discussion that God does not have any particular name like the human being. Now the question is what about the different names that appear to be God has been called in the Bible and Quran? Answer for this question is that those name are the mere “Attributive names” which covey the specialty, power and abilities of the person of God. But not observing this small point so many Christian scholars argue in vain that Jehovah is not at all Allah which are actually the two different lingual names of the same God. And their ignorance drag them into such illusion as imagining that the names “Jehovah” and “Allah” are belong to the two different Gods. ARE JEHOVAH AND ALLAH TWO SEPARATE ENTITIES POSSESSING THE DIFFERENT POWERS AND ABILITIES? What for the present day’s Christian scholars failed to prove that Jehovah and Allah are two separate entities possessing the different powers and abilities? Before they raise the argument that whether Jehovah and Allah are one or two separate entities, they should know in clear what are the basic attributes of the Creator God. We can read those basic attributes of the creator God as here under. 1). He who does not have the partners beside His divinity – Means He is ALONE. 2). He who is not born from the womb like the human beings – Means He is UNBORN. 3). He who does not appear to the eyes of the human beings in any age– Means He is INVISIBLE. 4). He who does not have the mortality like the human beings – Means He is the IMMORTAL. These four are the basic attributes of the Creator God. On one hand the different denominations believe and praying to Jesus, Mary and Holy Spirits in the status of gods. On the other hand so many non-Christian communities believe and pray to the animals and to their prophets and to the monks etc. Thus although they all are believing and praying to anything with their ignorance, the Creator God is only one who possesses the four basic attributes that “ALONE, UNBORN, INVISIBLE AND IMMORTAL.” It is not at all the problem that by what name one should call Him? But whether one recognizes that real God who possessing these four attributes aforementioned or not? Is the main problem. Therefore it is not at all important that by what name one should call Him but what the important thing is that everybody should believe to that real God only who is having these four attributes. This is the formula to identify the real God. If one is introduced by these four basic attributes that “ALONE, UNBORN, INVISIBLE AND IMMORTALE” either in the Bible or in the Quran or in the Vedas we have to accept immediately Him to be the Creator God whether He is introduced by the name of Jehovah or Yahweh or Allah or Sarveswara. It is foolish to say that Gold is separate from Sona which is the Hindi term for Gold. In the same way it is foolish to say that Jehovah is separate from Allah who possesses these four basic attributes mentioned in above. Even though the Hindu scriptures unanimously proclaim that there is only one God who possess these four attributes, due to not recognizing that real God with these attributes so many people in Hindu community are mistaken for God incarnates in the form of Animals and in the form of Holy prophets and thus strayed from the right path and their misconceptions towards God make them fell in to the polytheism. We cannot say that the status of Christian community is far better than the idolaters in the gentile communities. Although the Bible proclaims that He, who is having the four basic attributes that “ALONE, UNBORN, INVISIBLE AND IMMORTAL” only can be regarded as the Creator God, not recognizing that real God with these four attributes the Christianity also fell in to such misconceptions as Jehovah has incarnated in the form of Jesus and Jehovah has plurality in His person and Jesus, Holy Spirit and virgin Mary also are the gods beside Jehovah etc. “JEHOVAH” AND “ALLAH” ARE THE TWO SEPARATE NAMES OF THE SAME GOD! According to the above verses of the Bible and Quran it can be well understood that the terms “Jehovah” and “Allah” are the two separate lingual names of the one Creator God. If Jehovah is separate from Allah as is being argued by some preachers then the attributes of Jehovah also would have been separated from the attributes of Allah. CAN THE IDENTITY NAME BE CHANGED ACCORDING TO THE LANGUAGE? OR CAN THE ATTRIBUTIVE NAME BE CHANGED? To be frank the identity names of human beings can in no way be changed according to the language in any country. But the names and attributes of the universal objects like sun, moon, sky, air, fire, earth etc, can be changed according to respective languages of the people. In the same way the creator God is being called in the respective languages of the people as Jehovah, Allah, EL, Khuda, Bhagavan, Parameswar etc. Therefore the identity names of the human beings cannot be changed according to the language but the attributive names of universal things can be changed according to the language. So Jehovah and Allah are the attributive names. The meaning of Jehovah is “Everlasting God” and the meaning of Allah is “One is praiseworthy.” And those who feel that Allah is nowhere called by the name of Yahweh they should know that Allah is mentioned in Quran by the name of “Al-Hayyu” which resembles to “Yahweh” having the same meaning “Everlasting God.” May God bestow the knowledge to understand these truths revealed in the light of Holy scriptures. – Amen. 0 Response to "WHAT IS THE REALITY OF THE NAMES JEHOVAH - ALLAH?"